This session, moderated by Aziz Mekouar, COP 22/CMP 12 Presidency, saw panelists discuss the adverse impacts of climate change on children, with related legal obligations and developments under the Paris Agreement and UN Convention on the Rights of the Child (UNCRC). In a video message, Joanna Sustento, the Philippines, related the trauma of Typhoon Haiyan, during which she lost both her parents. 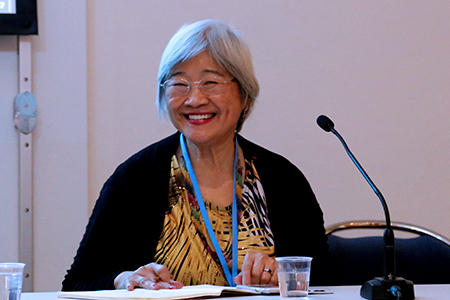 Identifying the typhoon as a “sign of what is to come,” she underlined the need to ensure such climate injustices are not passed on to children and future generations. 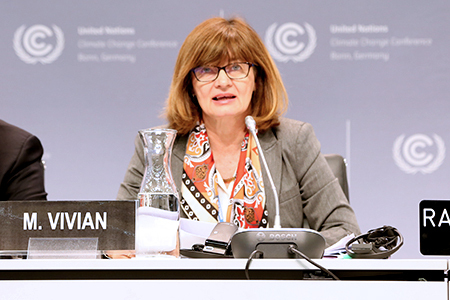 Marilena Viviani, UN Children’s Fund (UNICEF) Geneva Liaison Office, stressed that climate change undermines multiple rights under the UNCRC, and highlighted the ongoing development of the Paris Agreement “rulebook” as an opportunity to holistically embed human and child rights. Salaheddine Mezouar, COP 22/COP 12 President, stressed the need to preserve children’s day-to-day wellbeing and their ability to “dream of a better world,” and encouraged civil society’s continued work on this topic. 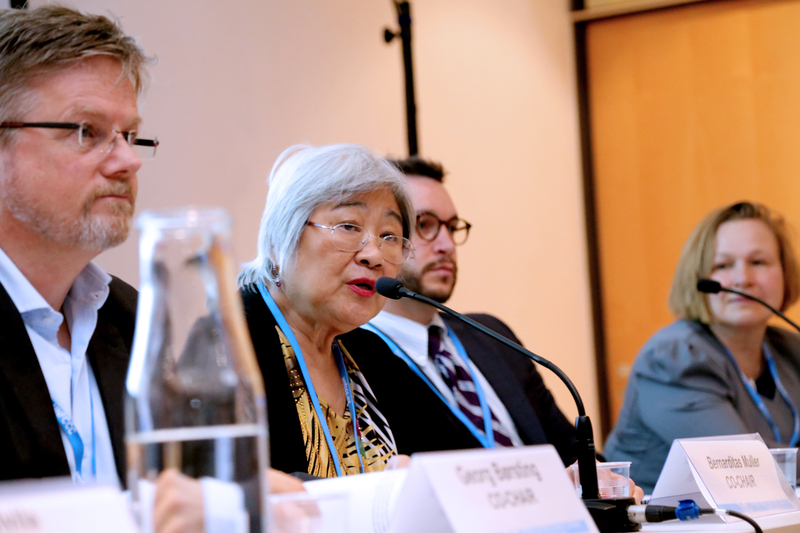 Sharing findings from a 2016 General Discussion on “Children’s Rights and the Environment,” Mikiko Otani, UN Committee on the Rights of the Child (CRC) Member, highlighted that states have substantive, procedural and heightened legal obligations in relation to children’s rights and climate change. Benjamin Schachter, Office of the UN High Commissioner for Human Rights (OHCHR), identified conclusions from an OHCHR study on ​the impacts of climate change on the rights of the child, including on the need to: ensure children’s rights are integrated into climate change action; empower children to participate in children’s policy making; and guarantee effective remedies when harm is suffered. Nazhat Khan, Ambassador and Chief Negotiator for COP-23, Fiji, said the Fijian COP 23 Presidency intends to bring an inclusive and participatory approach to its role, and will seek to ensure coherence with other multilateral processes. 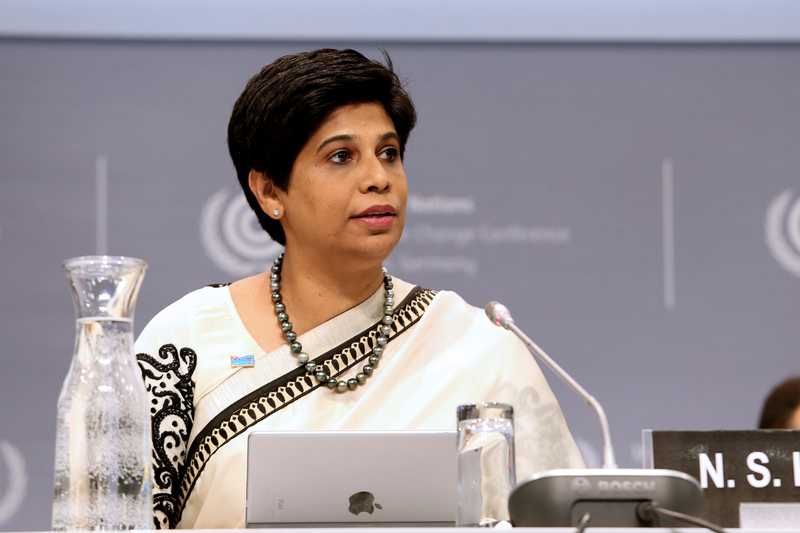 Nazhat Khan, Ambassador and Chief Negotiator for COP 23, Fiji, regretted that in many cultural contexts, children are not invited to participate in any policy decisions. 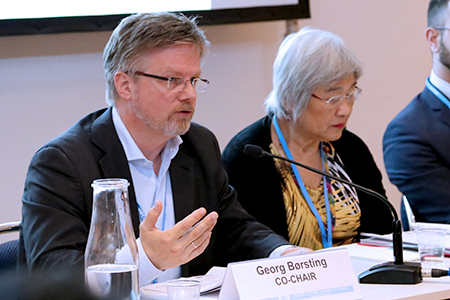 This side event, moderated by Dirk Forrister, CEO and President, International Emissions Trading Association (IETA), concentrated on the relationship between the CDM under the Kyoto Protocol (KP) and countries’ NDCs under the Paris Agreement, and on the CDM’s role in contributing to mitigation objectives under the Paris Agreement. 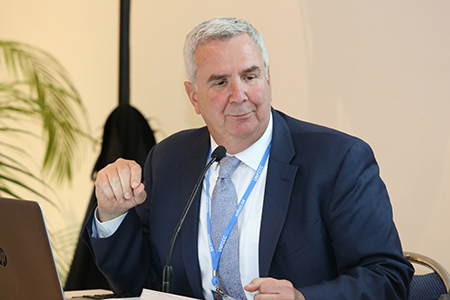 Frank Wolke, Chair, CDM Executive Board, noted that the CDM “exceeded expectations” in generating 1.7 billion tons of CO2eq in emission reductions since its inception, and called for identifying synergies among the CDM and NDCs so that the mechanism could continue to contribute to holding the global temperature rise to below 2°C. Welcoming work on adapting the CDM to the future, Forrister said business investors need regulatory frameworks and platforms. 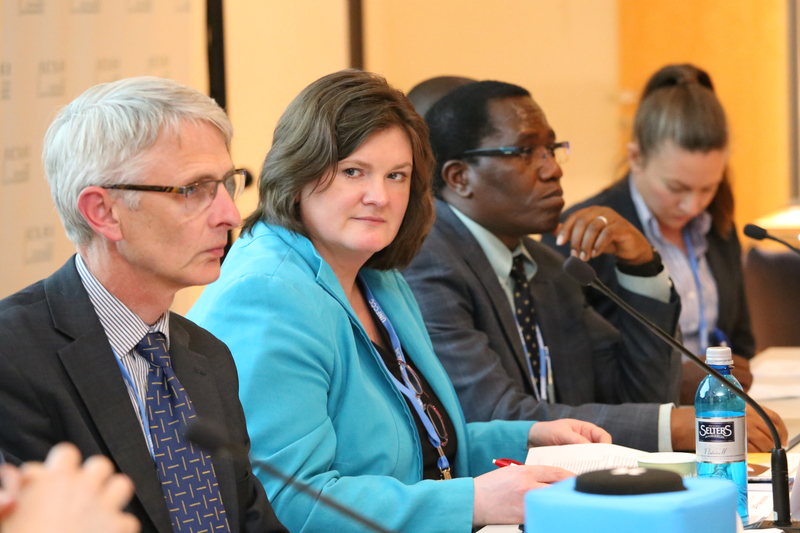 He noted that the CDM has the potential to operate at a much greater scale and help countries determine their NDCs. Stephan Hoch, Managing Director Germany, Perspectives Climate Change, addressed: CDM as a monitoring, reporting and verification (MRV) toolkit; the mitigation potential of the CDM pipeline; and programmatic approaches for scaling up mitigation action. 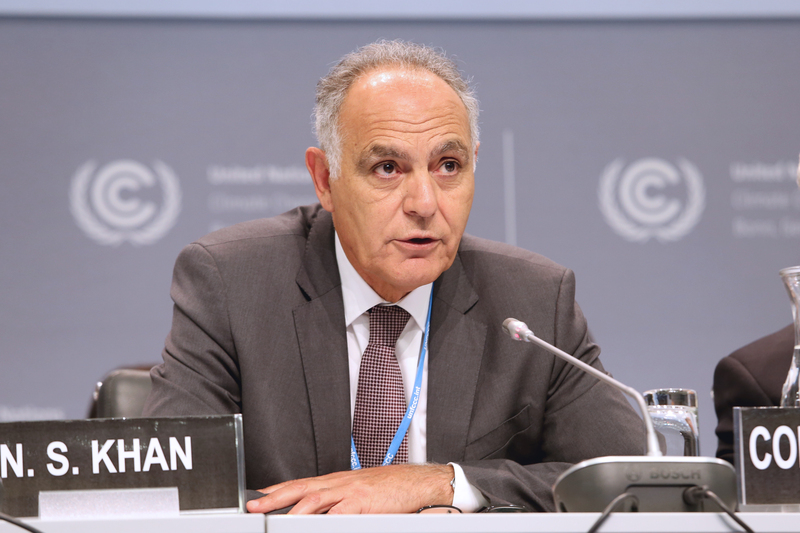 He urged for an “orderly transition” from the KP to the Paris Agreement in order to harness the mitigation potential of the CDM, and safeguard confidence in and scale up UNFCCC mechanisms. Stressing the need to raise ambition to reach the 2°C or 1.5°C temperature goal under the Paris Agreement, Romeo Bertolini, NDC Partnership, emphasized the need for: effective climate instruments, such as carbon pricing, to enable higher ambition; country-driven as well as global processes to ensure transparency and avoid double counting; and initiatives to enhance countries’ capacity to develop carbon pricing. Daniel Rossetto, Managing Director, Climate Mundial, focused on the interaction between the CDM and NDCs, identifying four options: full repeal of the CDM and its replacement with Article 6 of the Paris Agreement (mechanism to contribute to mitigation and sustainable development); independent development of Article 6 and effective abandonment of the CDM; retaining the CDM in parallel to Article 6; and managed transition into Article 6. Emphasizing the importance of private sector engagement, he cautioned against ex post adjustments of regulatory frameworks. 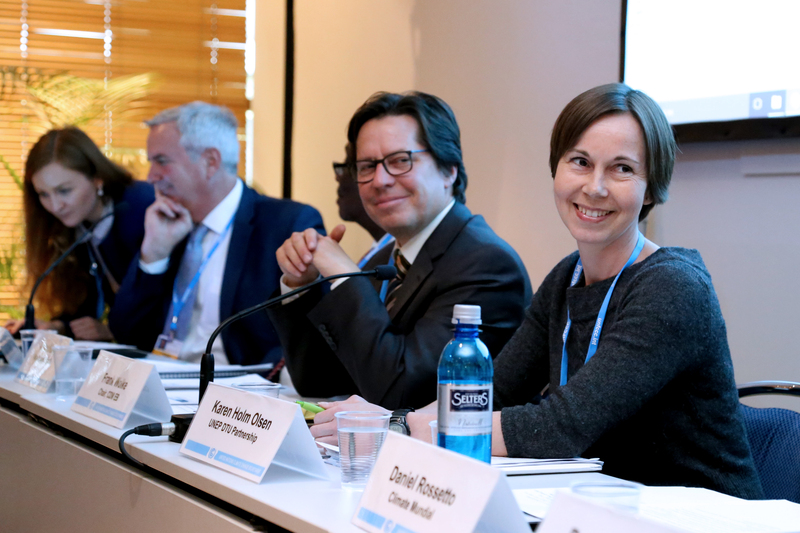 Karen Holm Olsen, UNEP DTU Partnership, addressed the transition to voluntary action under the Paris Agreement. 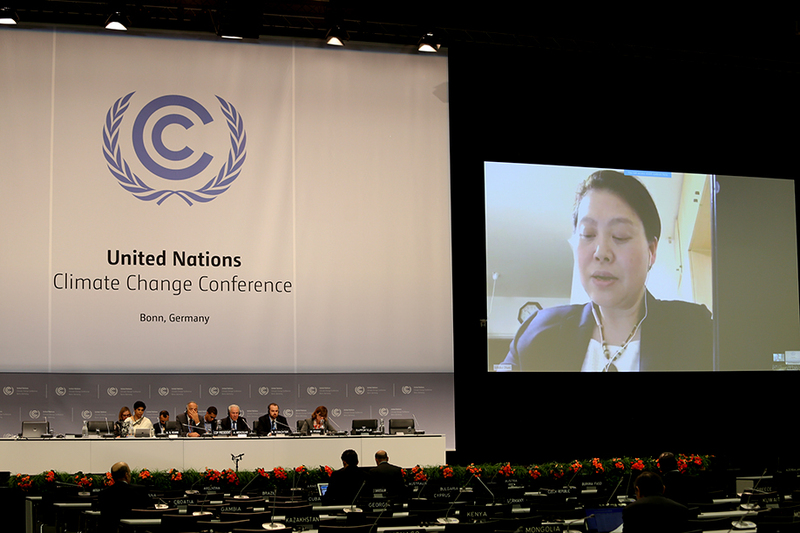 She noted associated challenges, including the lack of an “intrinsic connection” to domestic emission reduction commitments, failure to gain global endorsement of offsetting, and the “identity crisis of voluntary markets” due to the risk of double counting. In the ensuing discussion, participants addressed, inter alia: linking the CDM with the Green Climate Fund; integrating sustainable development into Article 6 implementation; and the need to identify business-as-usual baselines reflected in NDCs. 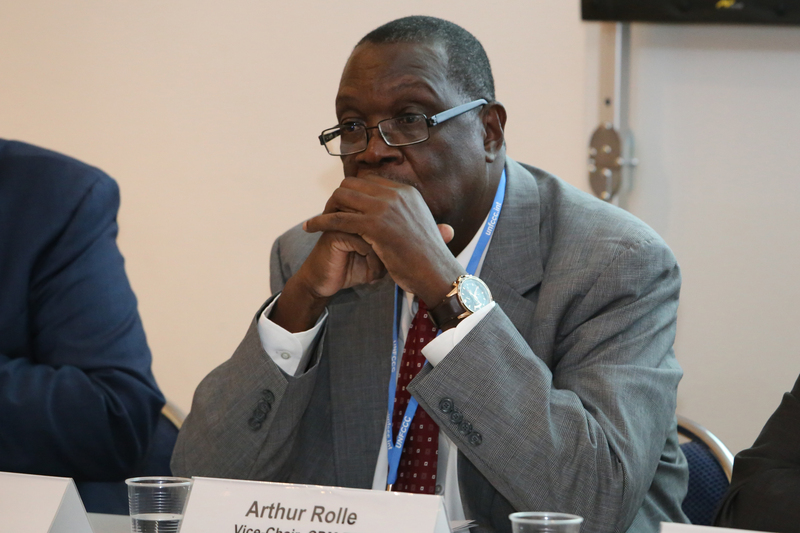 In conclusion, Arthur Rolle, Vice-Chair, CDM Executive Board, stressed the role of market mechanisms for NDCs’ achievement and said the CDM could be of value in parallel with NDCs. He noted the need for clarity on ways to link the CDM and NDCs, and ensure the CDM’s continued value after 2020. Stephan Hoch, Managing Director Germany, Perspectives Climate Change, outlined programmatic approaches for scaling up mitigation action by addressing CDM methodologies, the gap between the current NDCs and what is required to meet the 2°C or 1.5°C goal, and combinations of technologies. 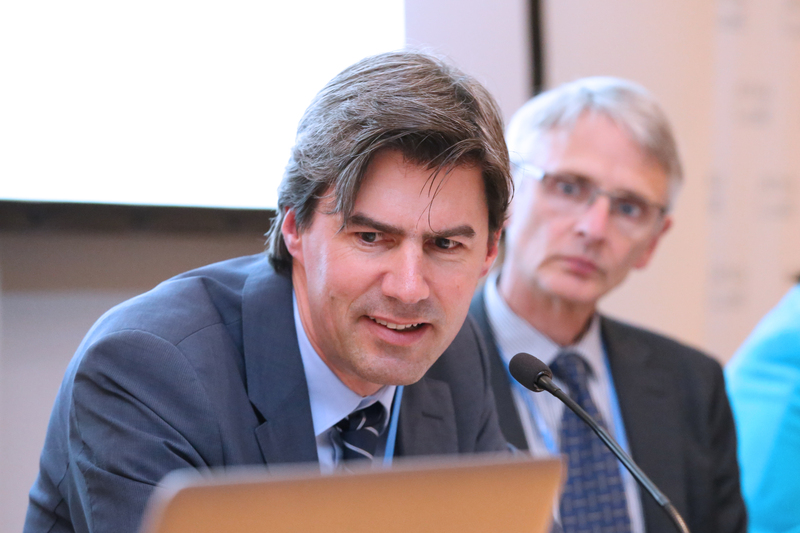 Dirk Forrister, CEO and President, IETA, hoped for a new mechanism under the Paris Agreement that would elaborate on the CDM. Arthur Rolle, Vice-Chair, CDM Executive Board, said market mechanisms have a clear role for the achievement of NDCs. Georg Børsting, Co-Chair, SCF, moderated the panel. Panelists outlined the SCF’s progress under its mandates in 2017 and its preparation for the third biennial assessment submission in 2018. 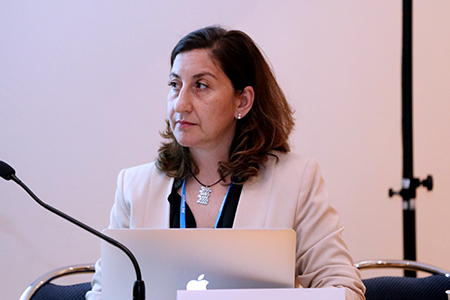 Bernarditas Muller, Co-Chair, SCF, stated that the main work of the Committee is to improve coherence and coordination in delivery of climate change financing. She underscored the increased complexity of financial mechanisms under the Paris Agreement, and called for “enhanced financing for enhanced action.” She highlighted forest financing as a particularly important challenge for the Committee to address. Outi Honkatukia, Co-Facilitator, SCF, stated that the Committee is working towards preparing the 2018 biennial assessment under the mandate of the Conference of the Parties (COP). She highlighted the Committee’s “onion approach” to presenting its methodology and improving understanding of climate finance flows. She emphasized the Committee’s aims to improve data coverage and quality and to better grasp investment needs and plans related to Nationally Determined Contributions (NDCs). Randy Caruso, Co-Facilitator, SCF, underscored monitoring, reporting and verification (MRV) as a core function of the Committee. He said that the SCF expects concrete results on improving MRV systems in the first round of biennial reporting. He underscored developing countries’ request for better guidelines to report the assistance they have received. Ismo Ulvila, SCF Member, outlined the goals of the forum on “Mobilizing Finance for Climate-Resilient Infrastructure,” tentatively scheduled for September 2017. He said that the forum will provide a platform for exchange of information, exploration of lessons learned through case studies and in-depth discussion among different practitioners. Børsting reported that the updated guidelines for the sixth review of the Financial Mechanism were adopted at the 22nd session of the COP to the UNFCCC (COP 22), and underscored the Committee’s aim to finalize the review at COP 23. Børsting also emphasized that the Committee was encouraged to build on the same methodology and criteria used in the fifth review of the Financial Mechanism in future reviews. 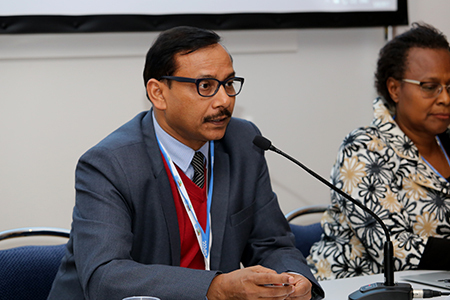 During the ensuing discussion, participants addressed, inter alia: delayed disbursements of the Green Climate Fund (GCF); efforts to reduce reporting burdens for developing countries; the bifurcated transparency system for developed and developing countries; and sources of information available to the SCF. Bernarditas Muller, SCF Co-Chair, stated that the main work of the SCF is to improve coherence and coordination in delivery of climate change financing. Georg Børsting, Co-Chair, SCF, moderated the panel. 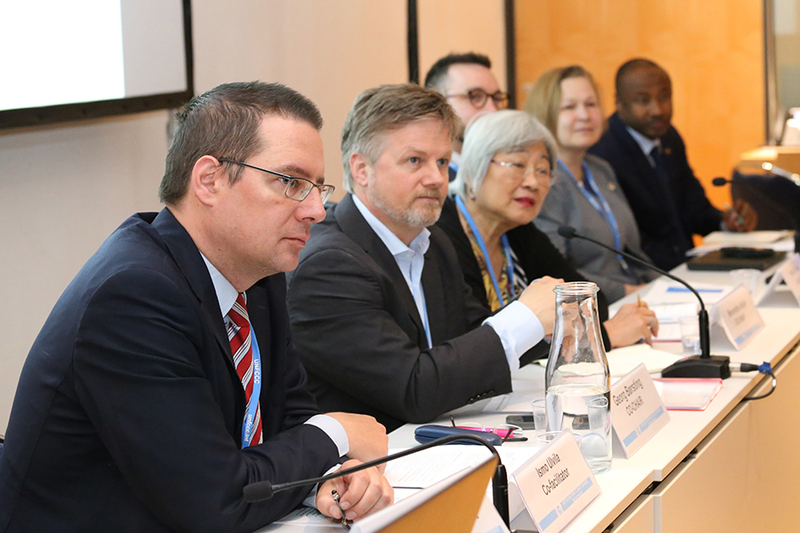 This session, moderated by Mariama Williams, South Centre, heard presentations from China and India, as well as other members of the G-77/China discuss implementation of the Paris Agreement, and related challenges. 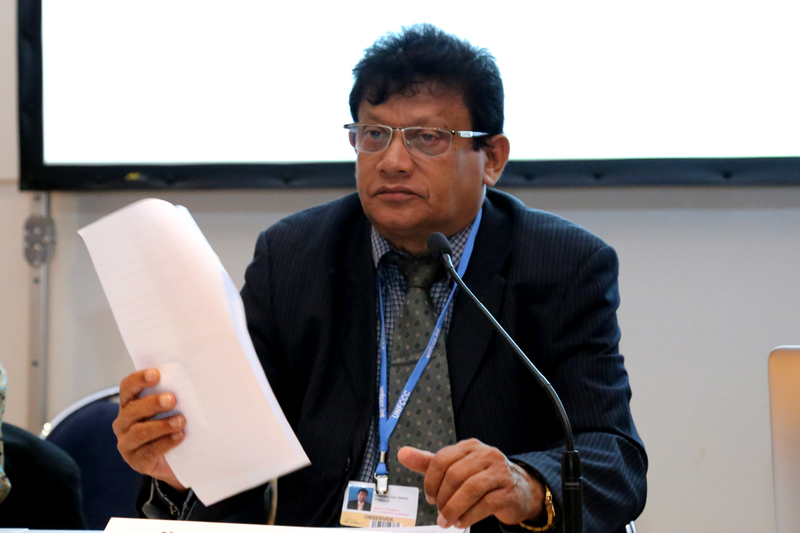 Ravi Prasad, Chief Negotiator, India, stressed that the Paris Agreement enhances implementation of the Convention, and should therefore respect equity and the principle of common but differentiated responsibilities. 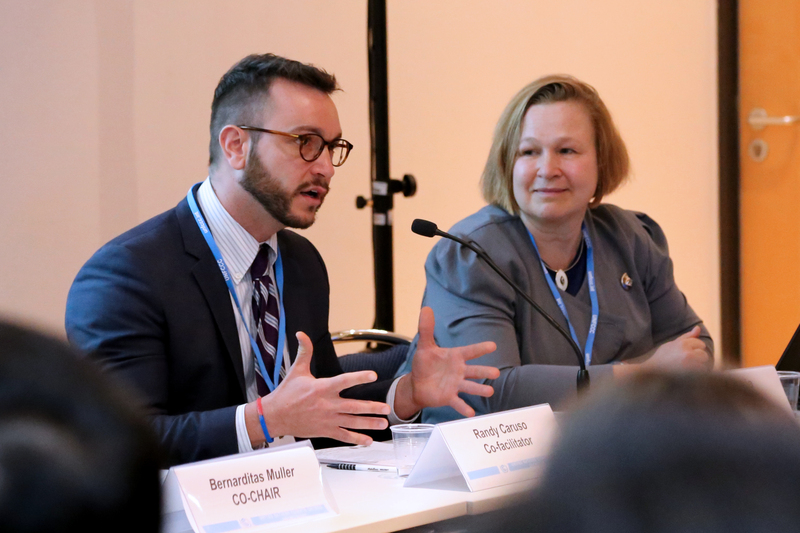 He highlighted a “huge gap” between current finance commitments and what is required to translate Nationally Determined Contributions (NDCs) into reality. 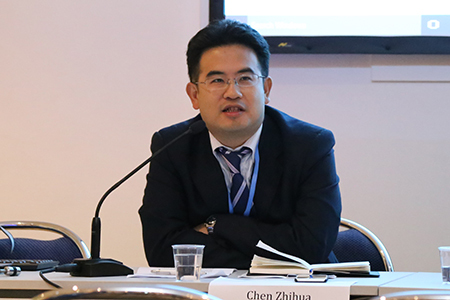 Chen Zhihua, Director of International Negotiations, China, highlighted his country’s intention to fully implement the Paris Agreement “no matter what happens.” He noted the importance of: respecting the principles of the Convention; maintaining the Paris Agreement’s nationally determined structure; flexibility for developing countries; balance between different elements; a facilitative and constructive approach to implementation; and pre-2020 action. Bernarditas Muller, Climate Finance Coordinator, G-77/China, provided a historical overview of the climate negotiations, stressing the need for: means of implementation; investments in adaptation despite a lack of revenue returns; and monitoring, reporting and verification of support. They also discussed the need: for any international forums working on climate change, including the International Civil Aviation Organization and the International Maritime Organization, to take into account the principles of the Convention; to ensure developing countries are not burdened with unnecessary additional guidelines; and for transparency modalities under the Paris Agreement to be differentiated. 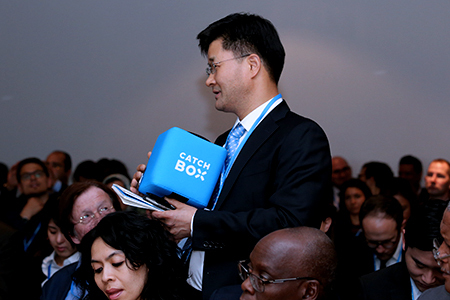 Participants also raised: the challenge of ensuring low-carbon industrialization without any historical examples; the need to bridge financing costs so that new technologies can be rapidly adopted; the difficulty of considering “de-growth” approaches when many developing country citizens are still living below the poverty line; and the important role of technology and addressing consumption patterns in this context. Sam Bickersteth, CDKN, moderated the panel. He initiated discussion with a call for systematized thinking about the integration of non-state actors, including cities and local governments, into Nationally Determined Contribution (NDC) implementation processes. Maryke van Staden, ICLEI, underlined that integrating subnational entities into NDC implementation will require regularized procedures and a system of communication. She emphasized the potential of local governments to enhance NDC activities and raise ambition levels. 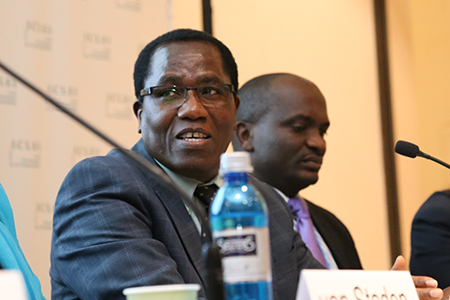 Stephen King’uyu, Ministry of Environment, Water and Natural Resources, Kenya, recalled the development of Kenya’s National Climate Change Act, which became law in 2016. He cited Kenya’s leverage of mature sub-national processes as key to establishing sustainable coordinating structures for climate planning. 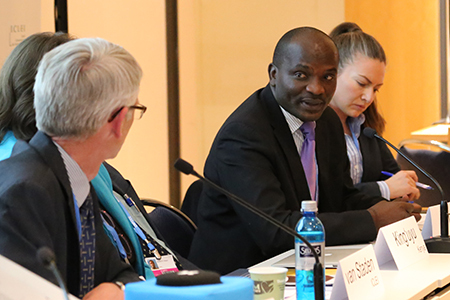 Ephraim Mwepya Shitima, Ministry of Lands, Natural Resources and Environmental Protection, Zambia, said that Zambia’s finalization of its NDC in 2015 led directly to a national policy on climate change in 2016. He underscored a sense of momentum around NDC implementation in developing countries. 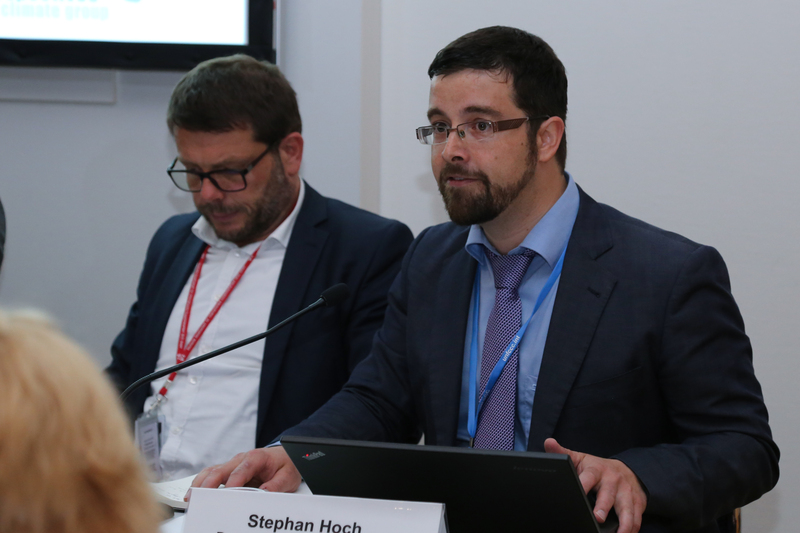 Stefan Wagner, City of Bonn, emphasized new models of multi-level cooperation and bottom-up implementation. 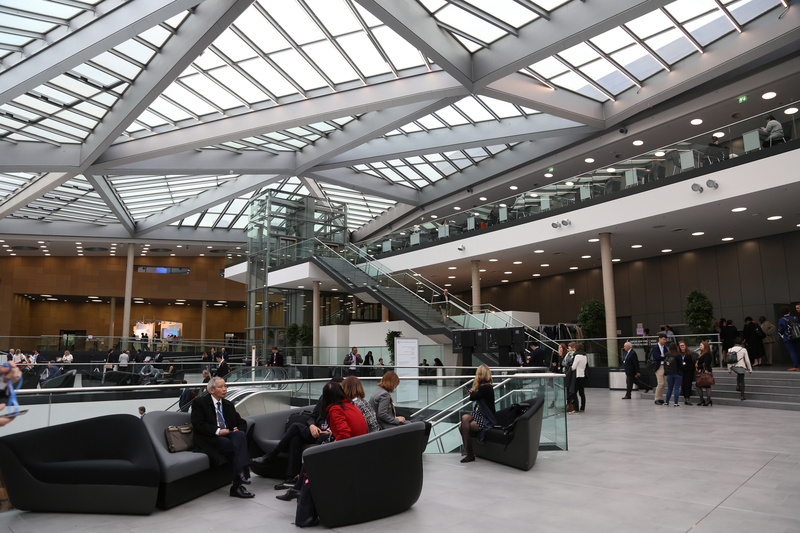 He pointed to the success of the Global Covenant of Mayors for Climate and Energy, an initiative that includes more than 7,000 local and regional authorities across 50 countries. He said that the Covenant helps subnational governments gain recognition, share best practices and fund local governments. Neil Bird, Overseas Development Institute, emphasized that meeting NDC targets will depend on national priorities. He noted that one way to secure integration of NDCs with national development planning is to ensure that they address the needs of vulnerable groups. 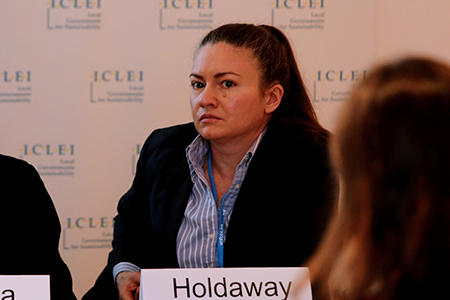 Emelia Holdaway, Ricardo Energy & Environment, observed that demand from developing countries for progress on NDC implementation is strong. 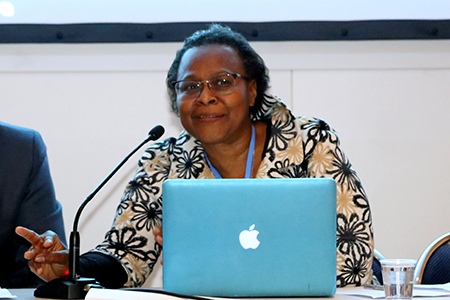 Underscoring the importance of stakeholder engagement and institutional organization, she outlined actions that developing countries can take to reduce barriers to implementation. She concluded that NDC projects should be selected strategically to secure long-term buy-in and cooperation across government entities. 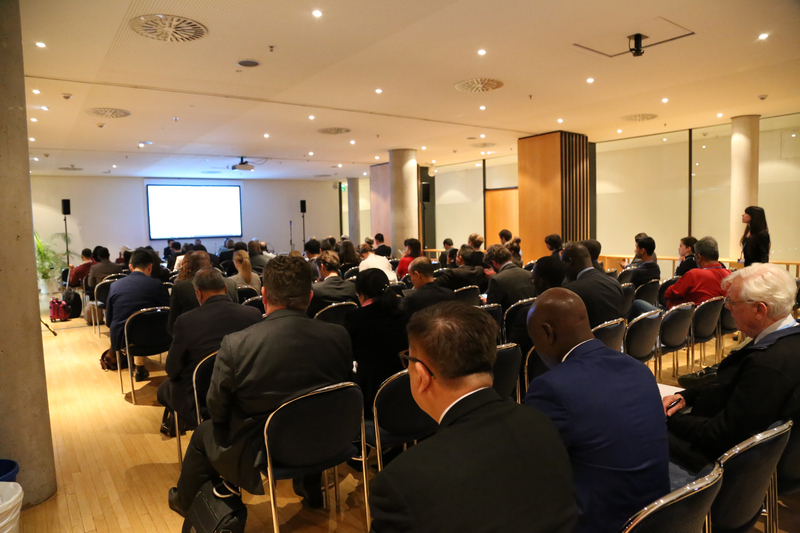 During discussions, participants addressed, inter alia: community involvement in NDC implementation; the role of civil society and other non-state actors; the City of Bonn’s Climate Ambassadors programme; and strengthening local government capacity. Ephraim Mwepya Shitima, Ministry of Lands, Natural Resources and Environmental Protection, Zambia, highlighted seven sectors the Zambian government has prioritized for NDC implementation. 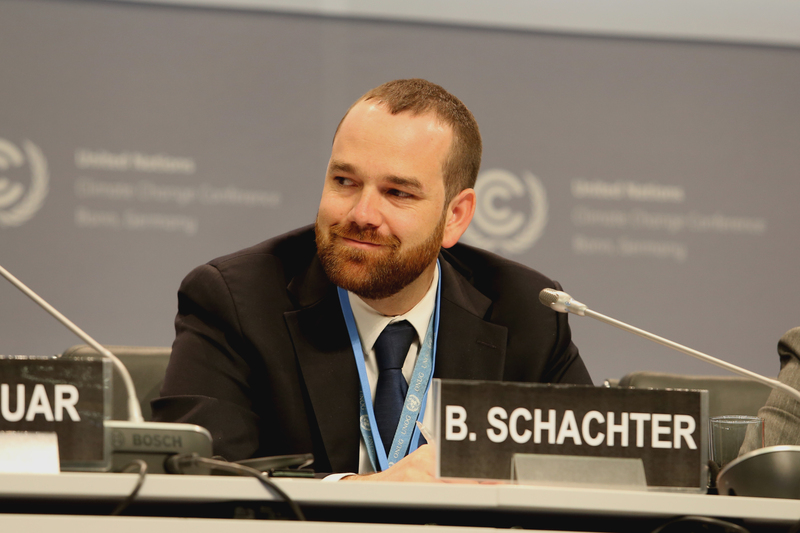 Stefan Wagner, City of Bonn, underscored Bonn’s commitment to a 40% reduction in CO2 emissions by 2030. Maryke van Staden, ICLEI, (second from left) underscored the importance of in-country context when designing vertical integration of NDC commitments. 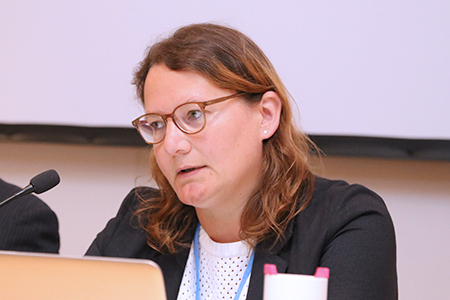 Lisa Leberhausen, Ministry for the Environment, Nature Conservation, Building and Nuclear Safety, Germany, said that Germany’s ‘Climate Action Plan 2050’ includes more than 400 strategic measures. 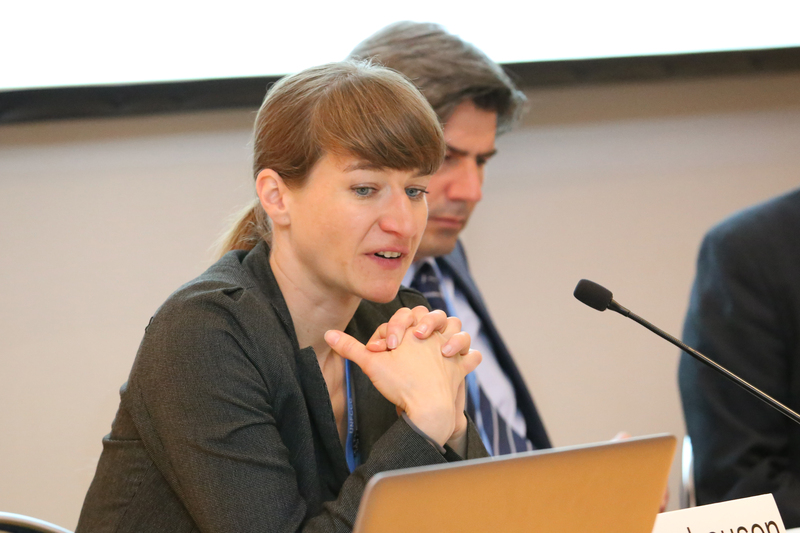 Emelia Holdaway, Ricardo Energy & Environment, said that NDCs are starting points that countries should build upon and strengthen. This event, moderated by Sara Kupka, nrg4SD, focused on the role of regional governments in enhancing climate change adaptation action. Noting that the need for increased adaptation action is recognized in the Paris Agreement’s global goal on adaptation, Kupka stressed the need for a multi-stakeholder approach. She highlighted the ‘RegionsAdapt 2016 Report: An assessment of risks and actions’ as an opportunity to share information on adaptation policies and programmes and to encourage others to do the same. Gamini Thilakasiri, Minister of Agriculture, Agrarian Development, Irrigation, Industries and Environment of Western Province Government, Sri Lanka, highlighted the International Conference on Climate Change 2017 held in his country, and said regional governments can make a major contribution by implementing the Paris Agreement and Sustainable Development Goals. Sirpa Hertell, Deputy Chair of the Commission for Environment, Energy and Climate Change, European Committee of the Regions, presented the European Union’s perspective on the role of cities and regions in adaptation policies and policy formulation, calling for greater recognition of these actors. 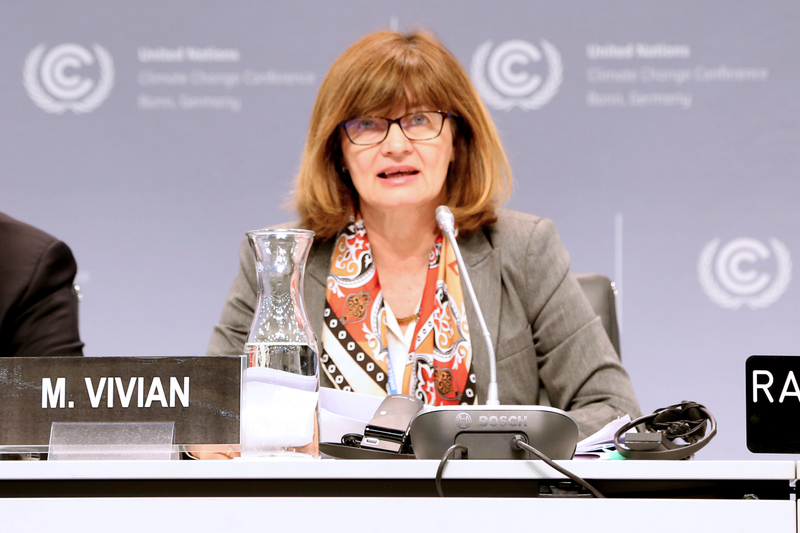 She urged for stronger institutional and financial support to regions, noting they are key partners in meeting the Paris Agreement’s objectives. Griet Verstraeten, Policy Advisor on Climate Adaptation, Government of Flanders, Belgium, discussed the Flanders climate change adaptation policy, which includes measures for industry and services, and implements global measures, such as raising awareness. Joana Setzer, Postdoctoral Research Fellow, London School of Economics, Member of the Board of Advisors to nrg4SD, addressed the challenges transnational networks are expected to face in the “post-Paris” framework, including: data reporting; the relative novelty of policy issues on the agenda of subnational government and transnational networks; and the need to continue to catalyze, support and steer subnational and transnational initiatives. 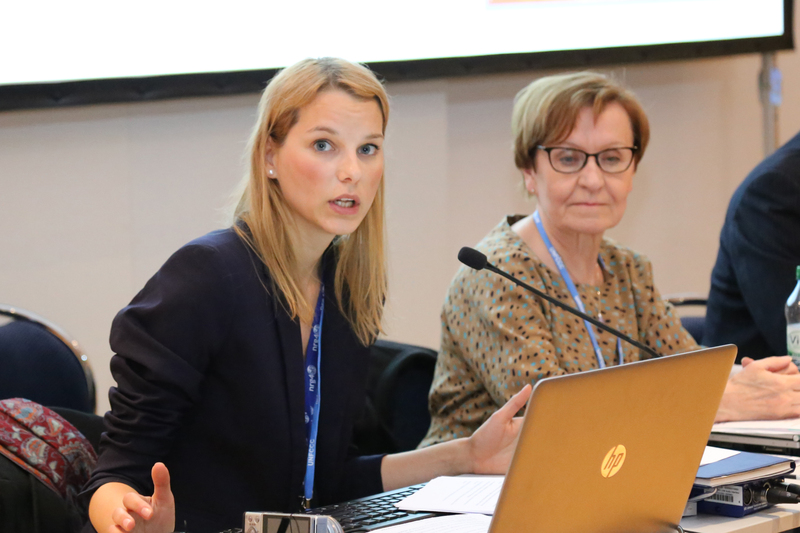 Idil Boran, Associate Professor, Department of Philosophy, York University, Canada, stressed the need to expand the pool of climate change actors in the implementation phase of the Paris Agreement through inclusiveness and vertical integration. She highlighted the importance of building trust among regional governments and parties and non-party actors, and identified conflicting interests and disparities of representation among actors as barriers to building trust. 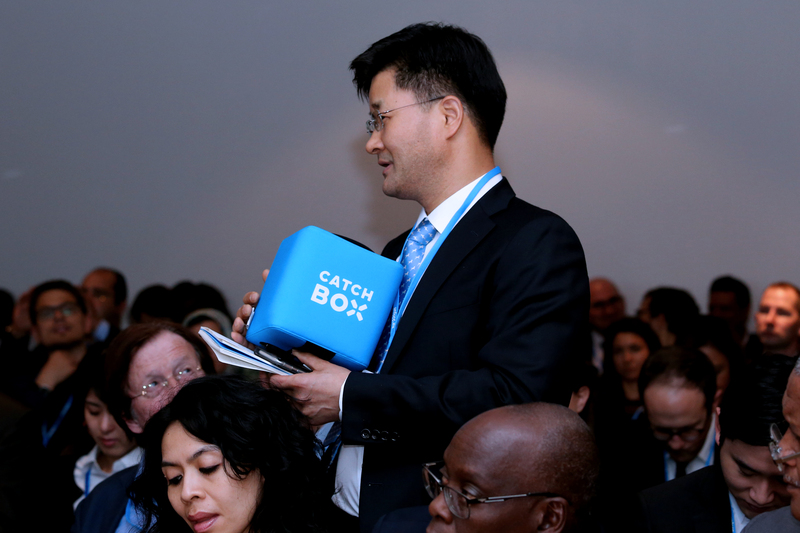 In the ensuing discussion, participants addressed: trust as an institutional feature embedded in practice; future reporting and verification scenarios; an ecosystem-based approach to regional action on adaptation; and expectations from the 23rd session of the Conference of the Parties to the UNFCCC (COP 23) in terms of progress on regional governments’ engagement. Moderator Sara Kupka, nrg4SD; noted that the need for increased adaptation action is recognized by the global goal on adaptation reflected in the Paris Agreement. 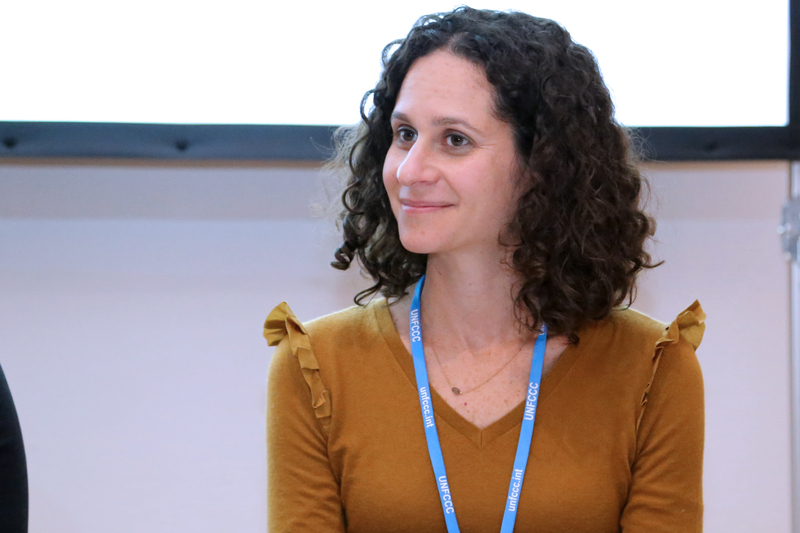 Joana Setzer, Postdoctoral Research Fellow, London School of Economics, Member of the Board of Advisors to nrg4SD, identified transnational networks’ functions, including: connecting cities and regions in their fight against climate change; knowledge exchange; political and financial, and mitigation and adaptation support; national and international advocacy; and reporting and verification. Idil Boran, Associate Professor, Department of Philosophy, York University, Canada, emphasized the need to work on inclusiveness of various actors in the implementation phase of the Paris Agreement. Gamini Thilakasiri, Minister of Agriculture, Agrarian Development, Irrigation, Industries and Environment of Western Province Government, Sri Lanka, highlighted the International Conference on Climate Change 2017 held in his country. 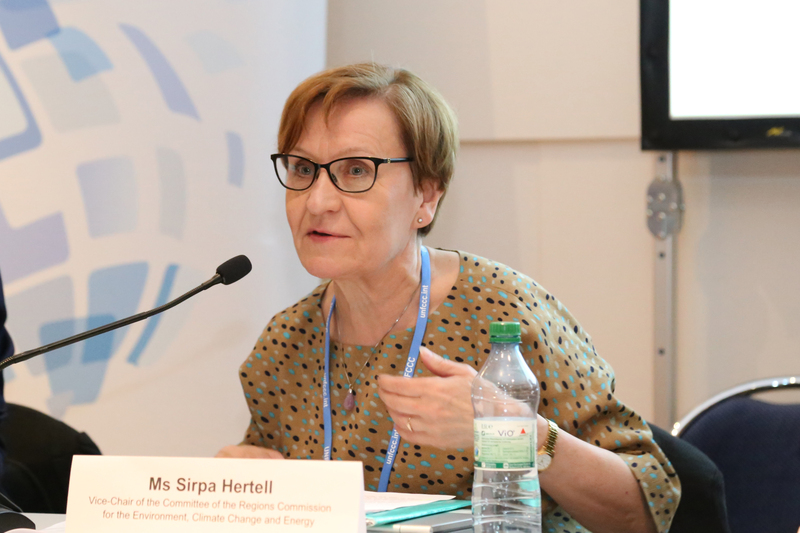 Sirpa Hertell, Deputy Chair of the Commission for Environment, Energy and Climate Change, European Committee of the Regions, called for greater recognition of regions and cities in adaptation policies as well as in policy formulation. Griet Verstraeten, Policy Advisor Climate Adaptation, Government of Flanders, Belgium, discussed the Flanders climate change adaptation plan. The Earth Negotiations Bulletin on the Side (ENBOTS) © enb@iisd.org is a special publication of the International Institute for Sustainable Development (IISD). This issue has been written by Suzi Malan, Katherine Browne, Elena Kosolapova, Ph.D., and Cleo Verkuijl. The Digital Editor is Ángeles Estrada. The Editor is Leila Mead leila@iisd.org. The Director of IISD Reporting Services is Langston James “Kimo” Goree VI kimo@iisd.org. The Earth Negotiations Bulletin on the Side is published by the International Institute for Sustainable Development. The Sustaining Donors of the Earth Negotiations Bulletin are the European Union (EU) and the Kingdom of Saudi Arabia. General Support for the Earth Negotiations Bulletin during 2017 is provided by the German Federal Ministry for the Environment, Nature Conservation, Building and Nuclear Safety (BMUB), Italian Ministry for the Environment, Land and Sea, Japanese Ministry of Environment (through the Institute for Global Environmental Strategies - IGES), New Zealand Ministry of Foreign Affairs and Trade, Swedish Ministry of Foreign Affairs, Government of Switzerland (Swiss Federal Office for the Environment (FOEN), and SWAN International. Funding for translation of the Earth Negotiations Bulletin into French has been provided by the Government of France, Québec, and the International Organization of La Francophonie/Institute for Sustainable Development of La Francophonie (IOF/IFDD). The opinions expressed in the Bulletin are those of the authors and do not necessarily reflect the views of IISD or other donors. Excerpts from the Bulletin may be used in non-commercial publications with appropriate academic citation. For information on the Bulletin, including requests to provide reporting services, contact the Director of IISD Reporting Services at kimo@iisd.org, +1-646-536-7556 or 300 East 56th St., 11D, New York, NY 10022 USA. The ENBOTS team at the Bonn Climate Change Conference - May 2017, can be contacted by e-mail at suz@iisd.org.